The 15 finalists for this year’s National Cat Awards have been revealed, celebrating extraordinary tales of survival, heroism and companionship in the cat world. Sponsored by PURINA® for the sixth year, the competition honours the achievements of the country’s fearless felines and miraculous moggies. Categories this year include Hero Cat, Purina® Better Together, Outstanding Rescue Cat, Furr-ever Friends and Most Caring Cat. 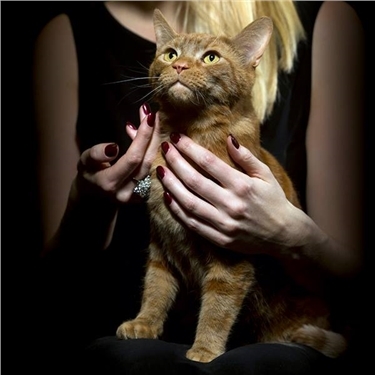 An additional category, the CP Special Recognition Award has been created to celebrate some of the amazing stories involving cats that have been rehomed by Cats Protection. Although not in the running for the overall title, three cats have been shortlisted. They are: Sadie, Lunar and Felix. The winners will be announced on Thursday 3 August at The Savoy Hotel in London, hosted by Alan Dedicoat and attended by a host of celebrity judges. To find out more about the National Cat Awards, and to meet the finalists for each category, click here.